We left home at around 10:30am and headed over to Clitheroe by our usual roads, where we stopped to fill up. From Clitheroe we followed our usual route to Settle via the minor backs roads of Sawley and Wigglesworth. We passed by Settle and joined the B6479 and passed through Horton in Ribblesdale, we decided to stop at the tearoom just outside Horton in Ribblesdale for lunch. 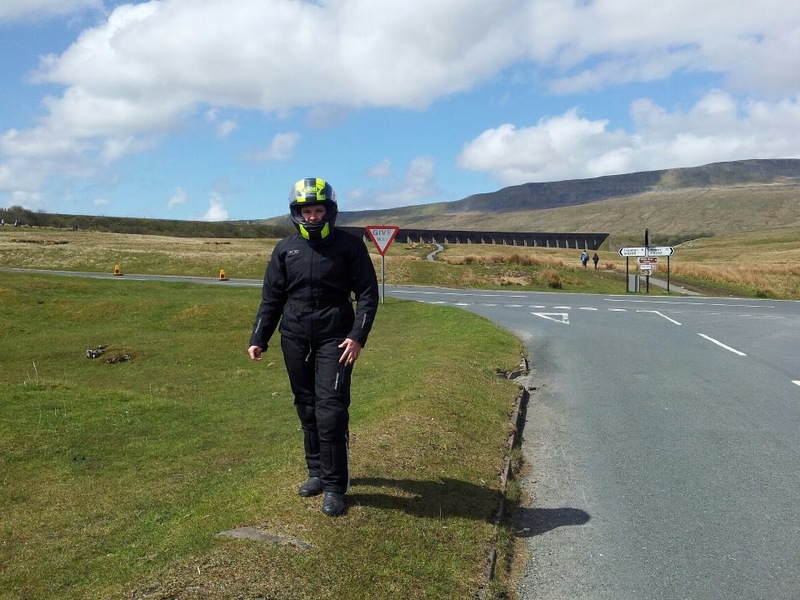 We left the tearoom and headed for Ribblehead Viaduct, where we turned right on the stunning B6255 to Hawes. We didn’t go into Hawes and turned immediately left and decided to head over to Devil’s Bridge. We joined the A684 and headed for Sedbergh, but instead of following the A684 we turned right at the Moorcock Inn onto the B6259 towards Kirkby Stephen. I decided to this route as we enjoyed this stretch of road last week. We didn’t go all the way to Kirkby Stephen and instead joined the very minor Tommy Road at Pendragon Castle; we did this to cut across to the A683. We turned left onto the A683 and headed South to Sedbergh. We passed through Sedbergh and continued on the A683 down to Devil’s Bridge. After a brief stop at Devil’s Bridge for an ice cream we left and headed for home. We took the A65 heading towards Skipton and soon arrived in Ingleton. Just after Ingleton we turned right onto minor roads and headed through Gisburn Forest and past Stocks Reservoir. We then joined the B6478 and headed for Slaidburn. We continued on this road and headed over Waddington Fell and down into Clitheroe. We passed through Clitheroe and then went over Pendle Hill and through Sabden. We then followed the A56/M66 back home as usual.